Finding one's psi-mate is something every Sandarian hopes for, but when Ian Cavacent accidentally starts the bonding process with the Earthling, Dani, he has to fight his desire with every ounce of his being. If the process is completed, it means both political and financial suicide for Ian and his family. A natural klutz, Dani somehow always manages to land on her feet and win her mixed martial arts matches. At home on Cat Island, her balance is thrown when bazillionaire Ian takes notice. Unfortunately some Torog aliens also take notice, sending her life spiraling out of control and into Ian's arms. 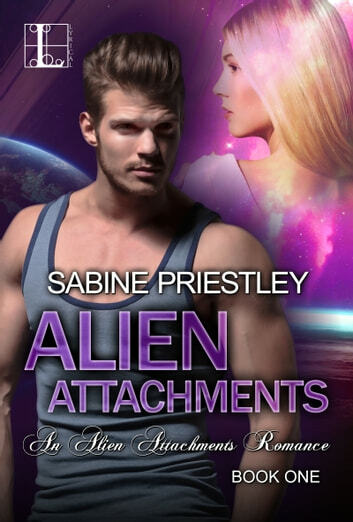 But Dani isn't the type of woman to let alien voodoo decide her future or her mate. . .no matter how gorgeous the man is or how much pleasure he gives her. loved this book. the description of the alien world was amazing and the characters were well rounded. great for anyone who loves a good romance with a little competition in it. was a bit slow getting interesting at the beginning but didn't take long to enjoy. only thing i didn't like about it was i think the author could have played out the ending section a bit longer and had a bit more conflict between the 2 main characters just to give it that bit of extra oomph. will be reading book 2.